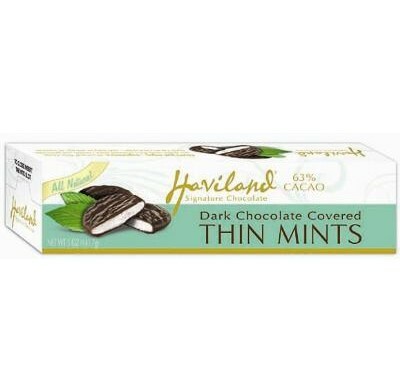 Havilland Thin Mints from Necco, real dark chocolate surrounding a delicious mint filling. A satisfying, refreshing snack treat. Packed 12-5oz. boxes per case.